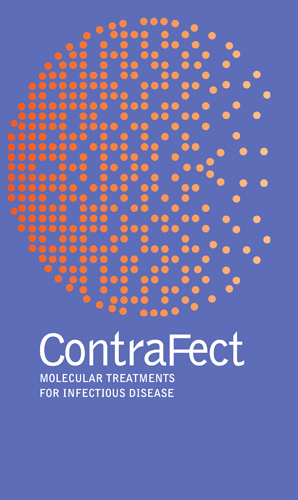 Based in Yonkers, NY, ContraFect is developing new approaches to destroying drug-resistant pathogens that cause hospital infections and disease epidemics. The original website design opened with a quick animation: the images of pathogens are wiped out while the text explains the company’s mission. 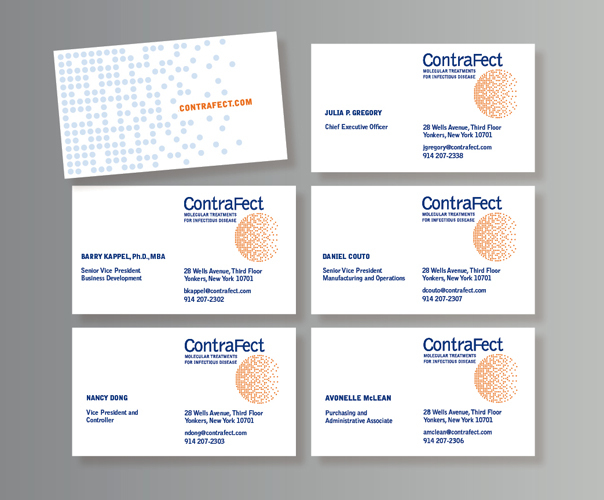 Brochure covers feature a gradient behind the dots. On the office entrance wall, painted ‘ContraFect Blue,” the effect is made dimensional with a 3-D logo in brushed copper.